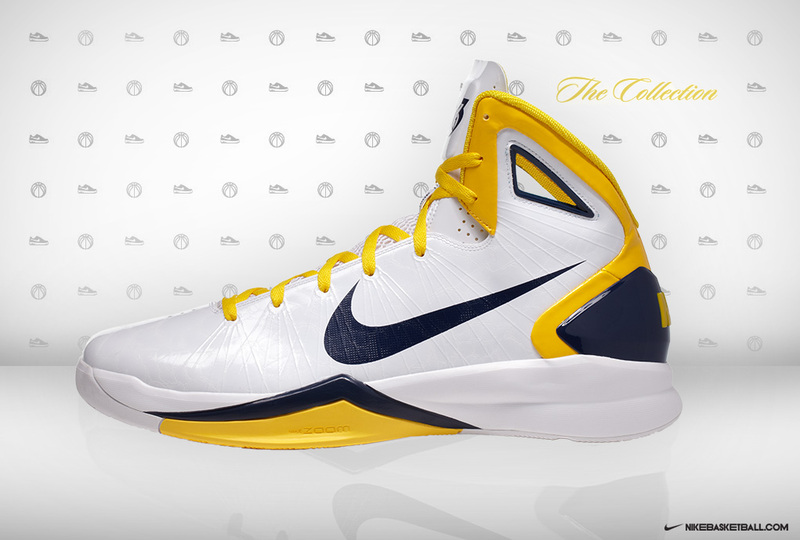 Check out what the go-to scorer for the Indiana Pacers is wearing at Conseco Fieldhouse. For the past three years, Danny Granger has been one of the NBA's most potent scorers. Looking to restore the Indiana Pacers to pre-Brawl glory, Granger has led the Pacers to a solid early-season start, and the team would be in position to make the Playoffs if they started today. The All-Star and World Championship Gold Medalist, like many of the league's other top players, has been doing the dirty work in Nike footwear. 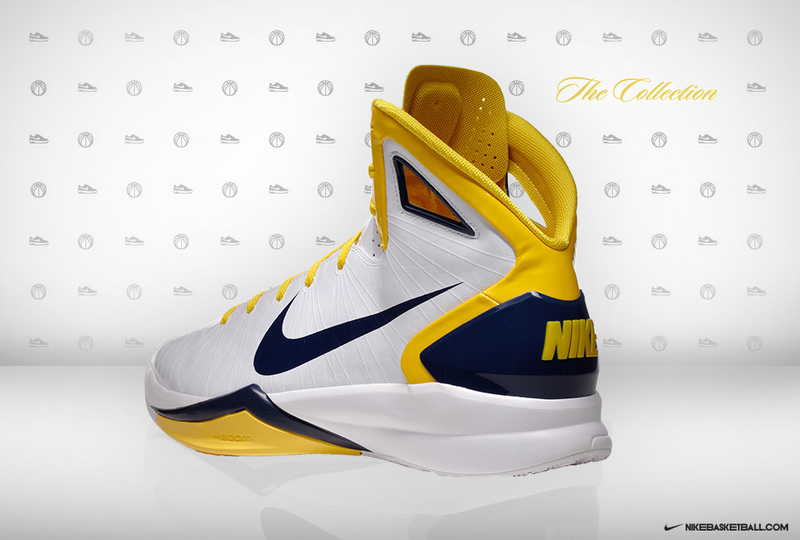 For Granger, Nike customized the Hyperdunk in exclusive Pacer colorways. Here's a closer look at what they came up with for home games. 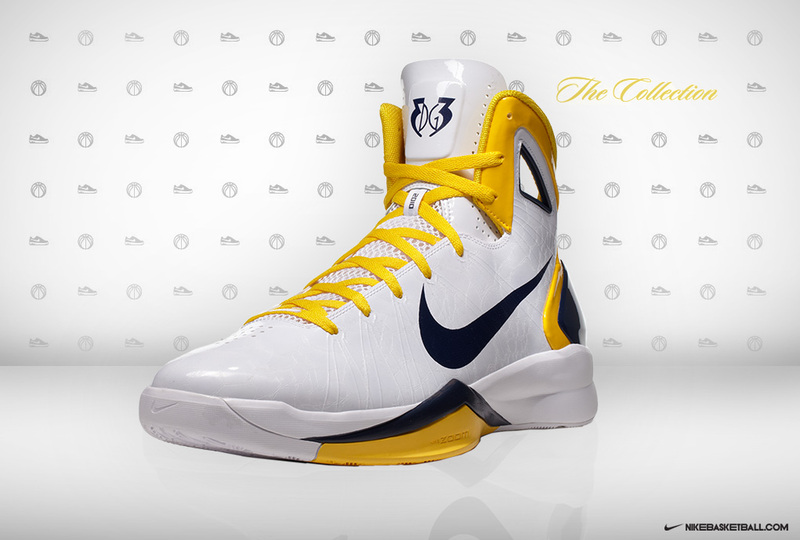 Reminiscent of colorways Reggie Miller used to light up Market Square Arena in, the shoe features a white leather base with bright yellow on the inner liner, ankle and heel trim, laces, heel branding and outsole. Navy borders the geometric cut-outs on the ankle, in addition to filling in the Swoosh, heel counter and midsole detailing. 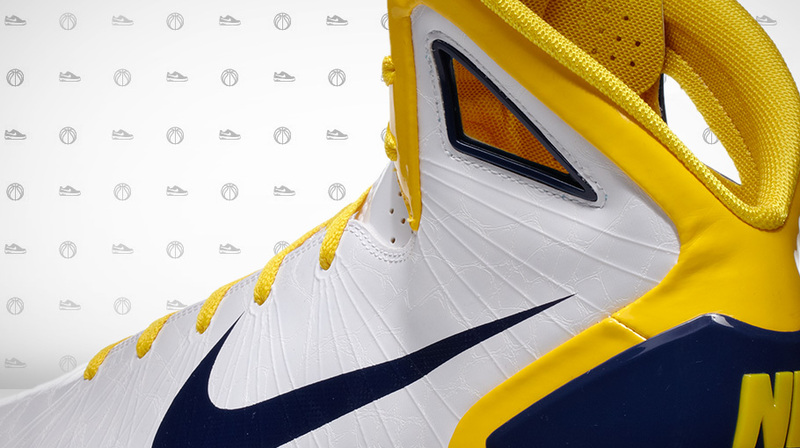 On the tongue of each shoe is Granger's custom "DG 33" logo.